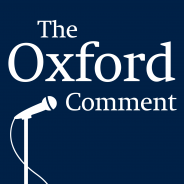 The Oxford Comment is a monthly podcast featuring insights from Oxford University Press authors, editors, and more. In the world of film, members of the audience perceive what they see on screen as realistic, even if what they’re seeing is not actually real. The role and influence of academic consultants has been debated as the impact of historical films in the lens of educating a populous is in question. On this episode, we examine the significant role of academic consultants within television and movies, particularly historical and science fiction films. The use of consultants on set has steadily increased since the early twentieth century, and we investigate why this trend has become a popular practice and how it impacts the audience, the success of the project, and its cultural impact on society. We called consultant Diana Walsh Pasulka, the author of American Cosmic: UFO’s, Religion, Technology, to help us weigh in on the significance of academic and historical advisers on film and television sets. Featured image credit: Red cinema chair by Felix Mooneeram. Public domain via Unsplash. Episode 52 of The Oxford Comment was hosted by Katelyn Philips, Marketing Coordinator at Oxford University Press. This episode was produced by Nicole Piendel (Executive Producer/Editor) with Stephen Mann, Madeline Johnson, Jenny Rossberg, Sarah Lee, and Mara Sandroff, Victoria McPherson and Katelyn Philips (Associate Producers). Problem is consultants bring with them their biases, predjudices and cultural affinities. Very few are in the vein of a Robin Olds, a Tameichi Hara, a Darwin or a Richard Feynman.